Colored circles - that are displayed in the list below. Visit Porto's downtown, Baixa, and be amazed with the culture, the history, and most importantly, the food. Come with us and explore the city's markets, delicatessens, the most amazing ... moreeateries, and meet the people who make it all happen. You'll taste your way through pastry shops, artisan cheese shops, hidden tascas, busy snack-bars, and more. As award-winning food bloggers, we'll let you in on the secrets behind the recipes and products you'll be tasting and observing throughout the tour. We'll also help you understand the city as we take you to the backstreets, but also the main monuments, where we'll give you insights on architecture, history, and of life as a Portuense. 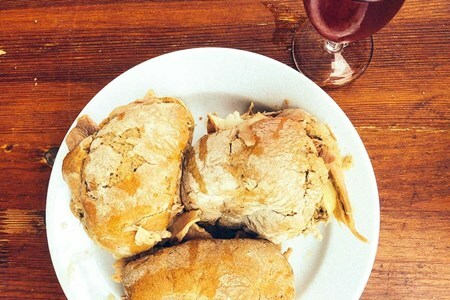 On this tour you will taste at least 14 different foods and 5 wines/beers at 6 different stops. Our tour will put Porto's food scene under perspective. You'll travel through busy pastry shops and try delicious conventual and pastries. The smells and flavors of the mountain will appear before you in one of the city's oldest cheese shops, where you'll taste four artisan cheeses and small-producer wines. We'll then skip into one of Porto's most celebrated eateries to try a mouth-watering sandwich and a comforting local soup. Through our way we'll stumble upon a hole-in-a-wall tasca that'll delight your tastebuds with savory charcuterie, regional breads, olives, a codfish delicacy, and an old-style regional wine, served in a bowl. Because dessert is calling, you'll be tasting another special pastry and a coffee. To finish the tour on a high note, you'll taste a couple of Port wines with dried fruits in a very special setting. The tour may be customized according to personal preferences or dietary restrictions. The tastings and stops may vary according to the day of the week. Baixa is Porto's downtown, a place filled with history and the city's gastronomical hub. It is rich in traditional restaurants, but also novel ventures. It's also home to Porto's largest food market, Bolhão, and many of the city's most iconic specialty grocery stores. Between tastings, we'll walk through the neighborhood and stop at important cultural marks so we can contextualize the people, the history, and also the food. 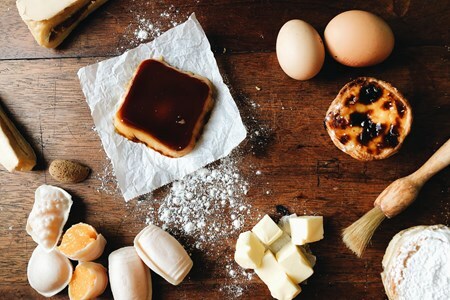 Portugal is renowned for its centuries-old pastry and confectionary traditions. Many recipes once held in the secret of convents are baked today in specialized pastries with lots of ... morelove, care and dedication. Come with us and explore the many sweets and pastries of Porto in traditional establishments. On this tour you will taste at least 8 different sweets at 6 delightful stops. During the tour you'll taste delicacies such as a (hot from the oven) pastel de nata, a puff-pastry delight called jesuíta, an unbelievable regional pudding, and other treasures from Portuguese confectionary tradition. 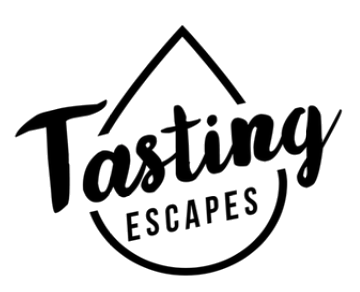 The tastings include a refreshing beverage such as sparkling or still water, coffee, and perhaps a special surprise in between! As award-winning food bloggers, we'll let you in on the secrets behind the recipes you'll be tasting and observing throughout the tour. We'll also help you understand the city as we take you to the backstreets, but also the main monuments, where we'll give you insights on architecture, history, and of life as a Portuense. The tour may be customized according to personal preferences. Unfortunately this tour cannot accommodate gluten-free, lactose-free or vegan diets. The tastings and stops may vary according to the day of the week. This full day tour gives you a chance to explore the emblematic Porto city. This city has been voted 3 times in a period of 6 years, as the leading Tourist Destination in Europe; - ... more2012, 2014 and 2017! Following a high-speed train journey from Lisbon to Porto, you will get the chance to experience the heart of Porto’s historic center, a UNESCO World Heritage Site. You will acknowledge the majestic buildings, monuments, and terrains that Porto has to offer. A sweeping exploration through the major attractions of the historic center, UNESCO World Heritage; - Santa Catarina Street, Majestic Café, D. Luiz I Bridge, Aliados Avenue, and Clérigos Tower! 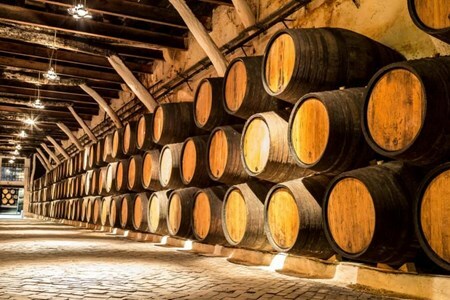 Gain access to one of the excellent Port Wine Cellars, to enjoy a tasting session of three wines. Interior survey of the Cathedral of Porto and the São Bento Station, regarded as one of the most attractive in the world. Optional access to Lello Bookshop, an inspiration location for the movie “Harry Potter”. A relaxing journey on the high-speed train, a perfect way to appreciate regions of Portugal's central territory. This full-day tour to Porto begins with a relaxing journey in the Alfa Pendular Train; - the speedy train in Portugal, departing from the Oriente Railway Station in Lisbon, heading to Oporto Campanhã train station. Once you arrive, you will enjoy free time to have lunch in one of the various local eateries in the neighboring area. Note: Lunch is not included. At around 2 pm, you will be picked up by your guide at the main entrance of Campanhã train station, to begin your amazing tour of this charming city. You will tour Porto’s Cathedral, one of the most attractive monuments, and the birthplace of the city. This Cathedral depicts an impressive work of the Romanesque era. You will acknowledge Clérigos, the highest tower in Portugal, and a true baroque style landmark that characterize the landscape of the city. You will discover Lello’s bookshop, one of the most enchanting and ancient libraries in the world. It is in this library, that J. R. Rowling the writer, composed Harry Potter books. The library is currently an attraction magnet for Hogwarts fanatics! Once you pass the popular Aliados Avenue, fringed by a monumental architecture, your next stopover is at São Bento Railway Station. You will be amazed by the dazzling tiles panels, that decorate the entire station. These tiles depict some of the most crucial phases of the Portuguese history. They also add extra value to this monumental building. We will cross the emblematic Dom Luiz I Bridge, to reach Vila Nova de Gaia. Here you will take a break and acknowledge the breathtaking scenic views of the Old Town and the Douro River. After appreciating the impressive landscape, only experienced in Porto, prepare yourself to explore one of the best Port wine cellars. At the wine cellar, you will enjoy an excellent Port Wine tasting session. You will also discover more about the production of this exquisite wine and its diverse flavors. At the end of this amazing tour, your guide will drop you off at Oporto Campanhã Station, to board the train back to Lisbon. Why not know the historic center and take a cruise in canals? Take a day to discover Porto and Aveiro with us! Panoramic tour of the main attractions of the historic center, UNESCO World Heritage - Aliados Avenue, Santa Catarina Street, Majestic Café, D. Luiz I Bridge and Clérigos Tower! Entrance with tasting of three wines in one of the famous Wine Cellars of Port Wine. Interior visit of the Cathedral of Porto and of São Bento Station, one of the most beautiful in the world. Learn about Aveiro city’s fishing culture and its traditional commerce. Visit Aveiro in a different way from a moliceiro cruise. Observe the typical colourful houses on the Costa Nova beach. After your guide collects you from your hotel, the tour begins in one of the most enchanting monuments, Porto’s Cathedral, birthplace of the city, a magnificent work of Romanesque era. Observe the most higher tower of Portugal, Clérigos, a genuine baroque style that marks the landscape of the city (no entrance). Find out one of the most beautiful and oldest library in the world, Lello’s bookshop, which provided inspiration to the writer J.K. Rowling to wrote Harry Potter. Crossing the famous Aliados Avenue surrounded by tremendous architecture, you will go to the São Bento Railway Station. Looking around you will discover the dramatic tiles panels which reveals some of the most important scenes of Portugal’s history, adding even more value to this majestic building. After crossing the iconic Dom Luiz I Bridge, you will arrive to Vila Nova de Gaia. Take a break to see the stunning view of the Douro's River and the old Town. 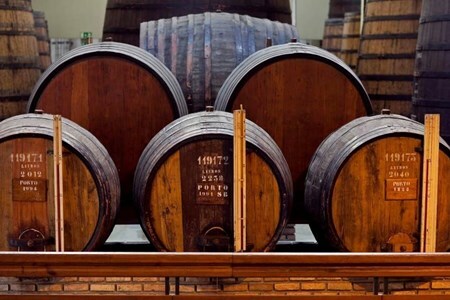 After the admiring the amazing landscape that only Porto can provides you, you’ll visit one of the top Port wine cellarsand enjoy a finest Port Wine tasting, learning more about its production and different flavours. After lunch (not included), the exciting Aveiro half-day tour departs from Porto after the guide picks you up in your hotel. As soon as you arrive, enjoy a walking guided tour through the historical centre, a special city where the old and the modern are combined. Admire the charming residences with some Art Nouveau details and take some pictures to the beautiful Aveiro’s Cathedral and its Baroque style. As you walk, learn more about the city history: a fishing village, founded on salt production and trade. The magic of this journey takes place on one-hour boat ride on a classic moliceiro (traditional boat) along the city’s dazzling canals. Relax and enjoy the landscape on this traditional boat used to collect sea grass in the lagoon. 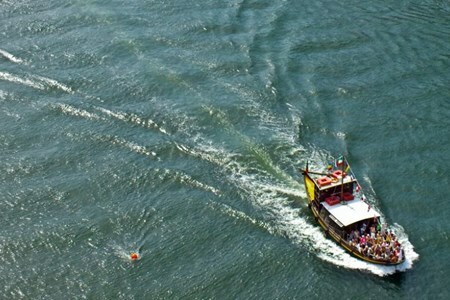 After this delightful cruise, your guide will show you Costa Nova, a spectacular white sand beach. Discover the famous colourful typical fishermen’s houses typical painted with vertical stripes. On the return, the guide will tell you more about Portugal’s history and its interesting facts. By the end of this tour, the guide will drop you off at your hotel or, if you prefer, at some other address on Porto’s city centre. Enjoy first the half day City Tour to visit the Historical Center and the most important monuments, streets and places, where you can enter in the well known São Bento Railway Station and the Sé Cathedral. Additionally, you will have aguided visit to a Porto wine cellar, for an introduction to the famous Port Wine including a wine tasting! In the evening, enjoy our Fado Tour! You will be picked up again at your hotel. Start with a fantastic panoramic tour through the city center at night and finish with a delicious dinner with live fado Show! Entrance with a tasting of three wines in one of the famous Wine Cellars of Port Wine. Enjoy a dinner with a show of Fado, Intangible Heritage of UNESCO, in a typical and traditional House of Fados do Porto. Dinner with choice of meat or fish or vegetarian(please indicate when booking). Wine, dessert, and coffee or tea included - no extra charge. After your guide collects you from your hotel, the tour begins in one of the most enchanting monuments, Porto’s Cathedral, the birthplace of the city, a magnificent work of the Romanesque era. Find out one of the most beautiful and oldest libraries in the world, Lello’s bookshop, which provided inspiration to the writer J.K. Rowling to wrote Harry Potter. Crossing the famous Aliados Avenue surrounded by tremendous architecture, you will go to the São Bento Railway Station. Looking around you will discover the dramatic tiles panels which reveal some of the most important scenes of Portugal’s history, adding even more value to this majestic building. After crossing the iconic Dom Luiz I Bridge, you will arrive at Vila Nova de Gaia. Take a break to see the stunning view of the Douro's River and the Old Town. After the admiring the amazing landscape that only Porto can provide you, you’ll visit one of the top Port wine cellarsand enjoy a finest Port Wine tasting, learning more about its production and different flavors. By the end of this tour, the guide will drop you off at your hotel or, if you prefer, at some other address on Porto’s city center. The Fado show evening guided tour begins with picking up at your hotel to bring you a unique night experience. During this tour, you will have the opportunity to explore the most gorgeous monuments in a panoramic mode. The dazzling Aliados Avenue, even more, delighted at night, it is an excellent place to start the tour. Down to the Douro’s river, a breathtakingly beautiful landscape: the reflection of the lights on the water. Discover the Ribeira’s beauty, one of the oldest neighborhoods of Porto with picturesque and colorful houses. Cross the Dom Luiz I Bridge and climb to the Serra do Pilar, the perfect spot to the perfect city’s landscape. No night is more beautiful than the ones this city has, but it is time to appreciate a stunning Fado show. The dinner will be in a traditional restaurant with a perfect soundtrack, a live Fado Show, recognized by UNESCO as a World Heritage. Enjoy this Fado show without any worry, this evening tour just ends with the drop off at your hotel. 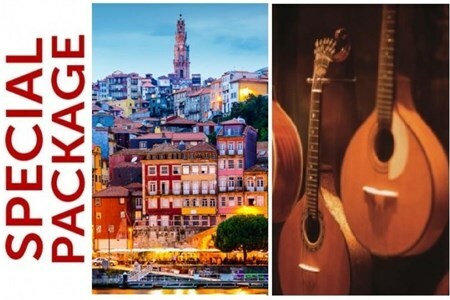 Come along and enjoy a special program in Porto, a city tour through the day and a fado tour in the night! Explore the historical center of Porto on a half day city tour, where you ... morewill have the opportunity to see the most important monuments and places, enter in the well known São Bento Train Station and Sé Cathedral, and finish with avisit to a Porto Wine Cellar with wine tasting. The half day tour will ends in Ribeira, where the guide will give you 2 vouchers: one to have lunch in a traditional restaurant near the river and the other one to experience the fantastic six bridges cruise. The tour guide will give you all necessary information to both activities. Spend sometime on your own and at night you will be picked up again at your hotel, to enjoy the fantastic Fado tour! Starting with a panormic tour under the city lights ending with a precious dinner with live fado show! Traditional lunch in a typical Porto's restaurant and the 6 bridges cruise. Wine, dessert and coffee or tea included - no extra charge. 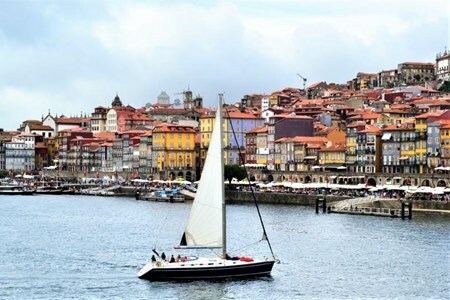 By the end of this tour, the guide will drop you off at Ribeira, at the river side, where you can enjoy a traditional lunch in a typical Porto's restaurant and the 6 bridges cruise on River Douro. During this tour, you will have the opportunity to explore the most gorgeous monuments in a panoramic mode. The dazzling Aliados Avenue, even more delighted at night, it is an excellent place to start the tour. Discover the Ribeira’s beauty, one of the oldest neighbourhoods of Porto with picturesque and colourful houses. Surprise your better half with a romantic sailing boat ride through the clear waters of Douro’s river. Be the main stage of this romantic scenario, surrounded by the most seducing ... morePorto’s landscapes. Can you imagine this exciting ride? The perfect “experience-gift” for your soulmate. Can you imagine a more romantic plan? A romantic adventure to explore with your lover. Of course (s)he will love it! If it remains in secret mode, we strongly advise bringing your better half to this magical journey with a blindfold on! Do not assume that only your soulmate will be surprised, you also will be amazed by the beauty scenario that Porto’s city presents to you. Enjoy this dazzling sailing boat, a tailor-made ride next to the one that you love. Take your time to experience this magic sailing ship ride and, at the right moment, make a toast with a glass of sparkling wine included on this complete boat trip. Sounds perfect? Maybe because that is what you must do! Surprise your lover and surprise yourself. 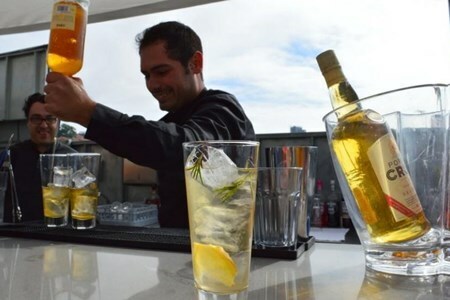 Taste delicious port wine and learn to make two delicious cocktails for your next party, picnic, or club meeting. It takes place on the rooftop overlooking the river. What better way to spend your time. 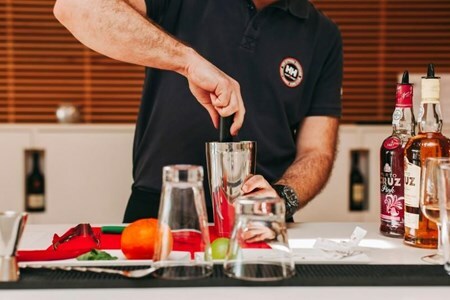 In the workshop you will learn to make port wine cocktails like a professional. Afterwards, you will dine in the Restaurant de Castro. for lunch or dinner and eat a delicious meal ... morecooked by Chef Miguel. Tour Porto on a unique four wheeled vehicle called the Tuk Tuk. It is a safe and comfortable way to see the city. You will see the most well known landmarks on the tour. They are Clerigos ... moreTower, Aliados Avenue, Sao Bento Railway Station, Portos Cathedral, Grilos Church, Stock Exchange Palace and more. On this tour you will have a panoramic view of this beautiful city and its many special attractions. You will cross the Abrabida Bridge and see the scenic sights along the river. The tour includes a voucher for a port wine tasting. Start the tour at the highest tower in Portugal called Clerigos Tower. Visit the Porto Cathedral located in the center of Porto. It is known as one of the oldest historical monuments in the city. It resembles a fortress and mixes different architectural styles. Visit the Baroque style Grilos Church ajoined to the Museum of Sacred Art and Archaeology. Stop at the Stock Exchange Palace known for a mix of architectural styles and as a national monument. The Alfandega Transport and Communications Museum is located in the huge Alfandega Nova Building. It has automotive exhibits, cultural, and artistic displays. Take the time to stop at the Abrabida Bridge and see the the beauty of the Douro river. Explore Santa Catarina Street Porto's main shopping area. It has quaint shops, bakeries, restaurants, and cafes. Tour Porto on a three wheeled vehicle called the Tuk Tuk. It is a safe and comfortable way to see the city. You will see the major attractions and at the end of the tour Clergios Tower ... morethe highest in Portugal. Start the tour on Aliados Avenue a famous location that has financial buildings, banks, unique shops, restaurants, bars, monuments, and cafes. Stop at the historic Sao Bento Railway Stations, a building, that depicts the city's history using tiles. Visit the Porto Cathedral located in the center of Porto. It is known as one of the oldest historical monuments in the city. It resembles a fortress and mixes different architectural styles. Visit the Baroque style Grilos Church ajoined to the Museum of Sacred Art and Archaeology. Stop at the Stock Exchange Palace known for its mix of architectural styles and as a national monument. The Alfandega Transport and Communications Museum is located in the huge Alfandega Nova Building. It has automotive exhibits, cultural, and artistic displays. Take the time to stop at the Abrabida Bridge and see the the beauty of the Douro's river. Explore Santa Catarina Street Porto's main shopping area. It has quaint shops, bakeries, restaurants, bars, and cafes. At the end, the driver will stop at the Clérigos Tower, the tickets to the visit are included. The tower is 75 m high and when you reach the top presents a breathtaking view of the city. 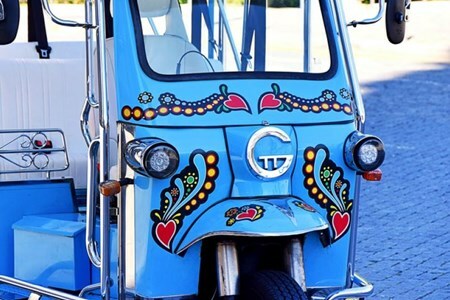 Explore the stunning Invicta’s (unbeaten) city on a Tuk Tuk ride! 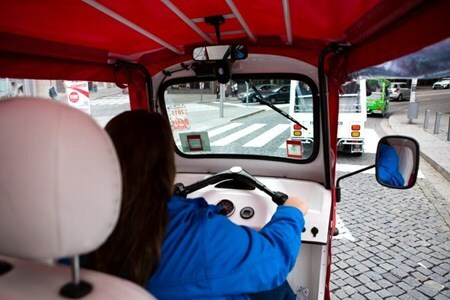 This funny vehicle allows you to explore the city in a detailed and comfortable way. Discover its beautiful historical ... morecentre, considered a UNESCO World Heritage Site and be surprised by dazzling hidden places of this city. Come and discover a different way to get to know the charms of Porto’s city! And, in the end of the ride, you will do the worldwide famous Porto Six Bridges cruise, crossing underneath all Douro River bridges. Are you ready for a city tour completely different and funny on Porto? Come with us and discover this charismatic three-wheeled vehicle with an electric motor. Have you heard about the emblematic Clérigos Tower? Your journey starts with the higher tower in Portugal! Towards the city’s heart, discover the majestic buildings that surround the gorgeous Aliados Avenue. You have the opportunity to know the most iconic monuments and its peculiarities, such as São Bento Railway Station, a tremendous building that tells Portugal’ history in tiles! Speaking of Portuguese history, discover the birthplace of one of the city's main buildings, Porto’s Cathedral. 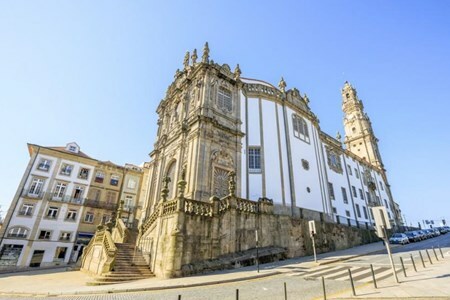 Cross theGrilo Church and sight the stunning Stock Exchange Palace, one of the most rich monuments of Portugal. A building with a mixture of architectural styles, much requested for outstanding cultural, social and political events. Be surprised by the formidable Alfândega, the historic building of the riverside area that hosts the Transport Museum. Pass by the Arrábida’s bridge and look around to appreciate the typical Rabelo boats sailing on Douro’s river. Back to the city’s centre, discover the Santa Catarina Street and, if you are a huge fan of tiles, do not miss the chapel ofSanta Catarina. Feel the wind on your face as you cross the city’s historical centre, a perfect landscape deserves a photograph! And, in the end of the ride, enjoy the worlwide famous Porto Six Bridges cruise, crossing underneath all Douro River bridges. 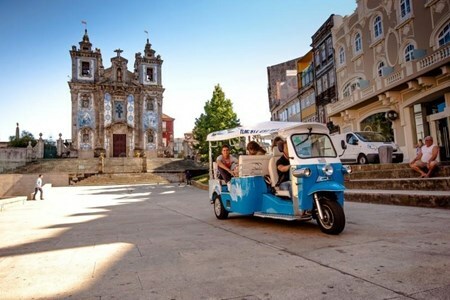 Explore Porto on a unique three wheeled vehicles called the Tuk Tuk. This vehicles provides a safe and comfortable way to tour the city. 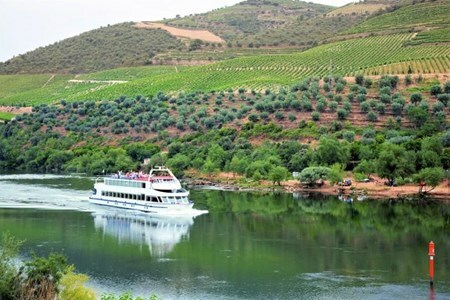 On this tour, you will go on the Porto Six ... moreBridges cruise on the Douro River. The tour highlights some important landmarks in the city. These landmarks are Clerigos Tower, Aliados Avenue, Sao Bento Railway Station, Porto's Cathedral, Grilos Church, and many others. You will receive a voucher for a wine tasting too. Start your tour at Clerigos Tower the highest one in Portugal. Later tour Allies Avenue with financial buildings, banks, unique shops, restaurants, monuments, and cafes. Stop at the historic Sao Bento Railway a building that depicts the city's history using tiles. Visit the Porto Cathedral located in the center of Porto. It is known as one of the oldest historical monuments in the city. It resembles a fortress and has different architectural styles. Visit the Baroque style Grilos Church ajoined to the Museum of Sacred Art and Archaeology. Stop at the Stock Exchange Palace known for its mix of architectural styles and as a national monument. The Alfandega Transport and Communications Museum is located in the huge Alfandega Nova Building. It has automotive exhibits, cultural. and artistic displays. Take the time to stop at the Arrabida Bridge and see the the beauty of the Douro's river. Explore Santa Catarina Street Porto's main shopping area. It has quaint shops, bakeries, restaurants, bars, and cafes. And, at the end of the ride, enjoy the worldwide famous Porto Six Bridges cruise, that crossing beneath all the Douro River bridges on the scenic river. When booking, please choose an one or a two hour ride. A completely new experience not to be missed! 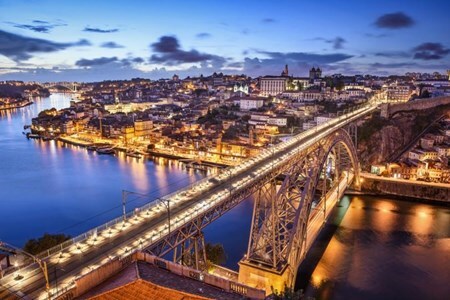 Explore the city of Porto at night on a Tuk Tuk ride. It is a three wheeled vehicle that uses an electric motor. Your tour will be comfortable and safe. The tour will explore some ... moreof the most important landmarks in the city. You will see the Clerigos Tower, San Bento Railway Station, Porto's Cathedral, Stock Exchange Palace, and some popular streets. You will cross the Arrabida Bridge and get a panoramic view of the city. A voucher for 1 port wine tasting will be included. Start the tour at Clerigos Tower known as the highest tower in Portugal. The tower and museum is run by the Brotherhood of the Clerics. Continue the tour on one of the most historic street in Porto called Aliados Avenue. It has many banks and financial buildings, hotels, retail shops, cafes, restaurants and coffee shops. Visit the Porto Cathedral located in the centre of Porto. It is known as one of the oldest historical monuments in the city. This building resembles a fortress and has different architectural styles. Visit the Baroque style Grilos Church ajoined to the Museum of Sacred Art and Archaelogy. Stop at the Stock Exchange Palace known for different architectural styles and as a national monument. The Alfandega Transport and Communications Museum is located in the huge Alfandega Nova Building. It has automotive exhibits, cultural, and artistic displays. Take the time to stop at the Arrabida Bridge and see the the beauty of the Douro's river. Explore Santa Catarina Street Porto's main shopping area. It has quaint shops, bakeries, restaurants, and cafes. When you arrive back in the centre of the city stop at the Santa Catrina Chapel that tell the history of the city using tiles. The blue and white tiles are on the outside of the building. 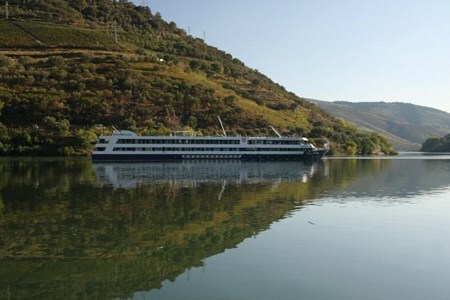 Take a one day cruise through the beautiful Douro valley and, start the day with a delicious breakfast on board the ship. You will see two scenic dams and eat a gourmet lunch onboard. ... moreWhen you arrive in Regua, a bus will take the group to visit the wine estate. At the wine estate you will tour the vineyards and taste some of the delicious port wines. Finish the day with a scenic train ride back to Porto. You will see the river, estates, vineyards and villages. Transportation is sometimes provided by mini bus back to Porto depending on train services. 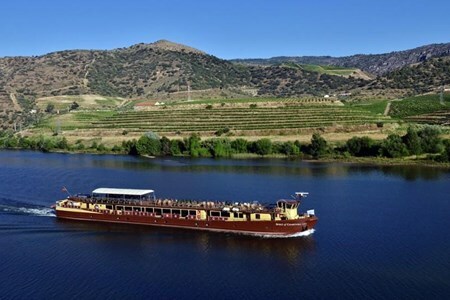 Take a six day luxury cruise along the Douro River. You will see vineyards, cliffs, estates, and villages. On the first day of the cruise, eat a delicious dinner and savor the welcome ... morecocktail included. 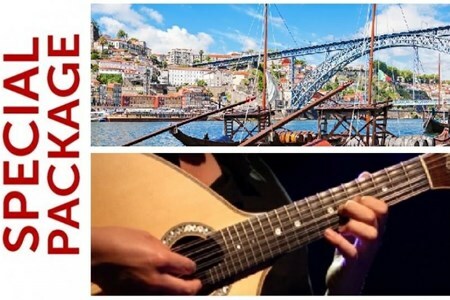 Tour the museum Douro and see a Fado and Folk show on board the ship. On day three, tour the Mateus Palace and its beautiful gardens. You can take a cooking class on board. Learn the history of Portugal and tour the Castelo Rodrigro. Later, eat dinner with the captain on the ship. Your trip to Salamenco has a flamenco show and lunch. Tour the city of Porto and participate in a vintage port ceremony before returning home. Take an historic eight day cruise in the Boat of Queen Elizabeth II Jubilee on the scenic Douro River. You will see estates, cliffs, vineyards, and villages. On the first day relax ... moreand enjoy dinner and cocktails on board the ship. Stop for a tour of Porto and eat breakfast and dinner aboard the ship. Tour the city of Lamego and eat at a wine production estate. You will tour Castelo Rodrigo, Salmanca, Mateus Palace, and the Gardens, and Quintas de Aveleda, a producer of green Portuguese wines. Return the eighth day by departing from Vila Nova de Gaia. 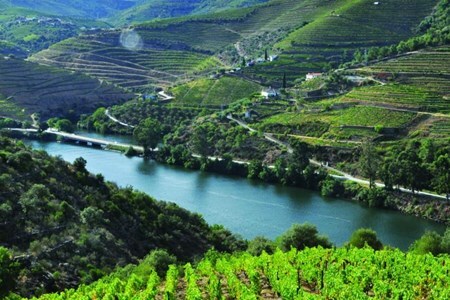 Take a two day cruise through the Douro Valley, on a boat, that travels from Porto to Regua. You will travel along the river to see the scenic dams and spend the night in a upscale ... morehotel. Breakfast and a gourmet lunch with a glass of wine are included with the tour. The second day you will have breakfast at the hotel and depart to see two picturesque dams. After you will have a gourmet lunch and glass of wine on the cruise back to Porto. Relax while you view the scenic beauty of the river. 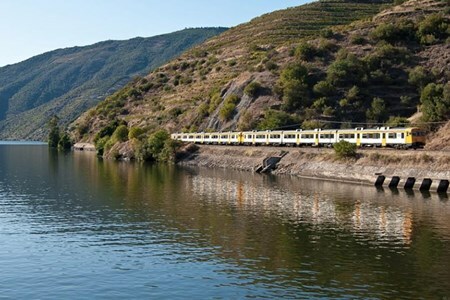 Explore the Douro Valley, by boat and train on this scenic trip. Start with a breathtaking cruise along the river to Regua, a municipality, located in northern Portugal. On this cruise, ... moreyou will see towns, villages, mountains, and vineyards. This is one of the oldest wine regions in the world. The cruise includes breakfast and a gourmet lunch with a glass of wine. In Regua, you will stay at a four star hotel and explore the wine region. There will be free time to tour the historic town of Regua. Stop at the Douro Museum to learn about the history of wine making and the International Douro National Park. Return by train, along the Douro Valley to Porto. During this trip, you will see the wine regions and the scenic valley. Take some time to explore the city of Régua.